Struggling for a birthday or Christmas gift? 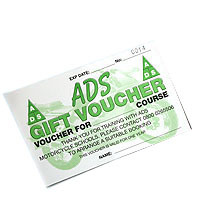 Why not give an ADS Training voucher! Vouchers are valid for 12 months from date of purchase and can be made out for a set amount towards a course or for the whole course amount. The recipient can choose when to take the course within the 12 month period.